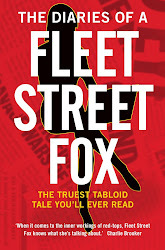 fleet street fox: Take care. 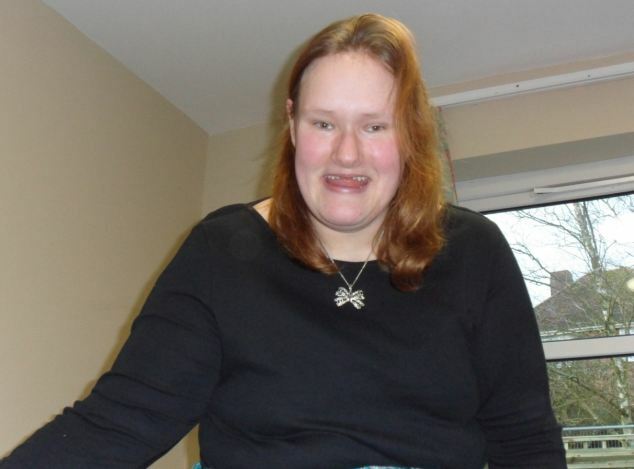 Simone is 21 years old and was born with part of a chromosome missing. It is one of the most common genetic defects in babies, affecting one in every three or four thousand children. The lack of this chromosome can cause cleft lips and palates, heart and kidney problems, feeding difficulties, and an IQ about the same as Forrest Gump's. None of that is Simone's fault, and while bits of it can be addressed lots can't. She's a handful to look after so once she was an adult her parents, who are both in ill health, paid thousands of pounds a month to a nearby private care home called Winterbourne View. People that have met her say Simone has a very infectious giggle. When she smiles she lights up the whole room, and like any child she is more than capable of showing a sunny nature and doing as she's told when treated properly. This is Simone having a wash. She had buckets of cold water thrown over her while she screamed for help. 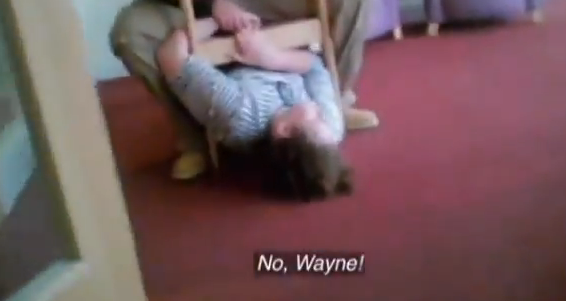 This is Simone being taught not to hit her carers. She was pinned under this chair for more than 30 minutes, had her hair pulled, her face covered, and was put in a headlock. This is Simone being helped with her beauty regime. 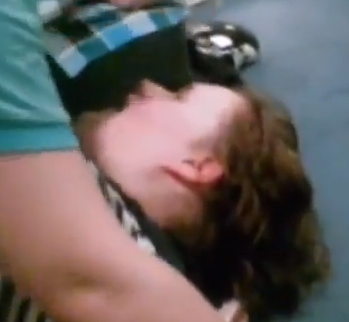 The carer who pinned her to the floor told her she was ugly. This is Simone enjoying the gardens. They left her out there until they noticed her shivering from head to toe. She had been at the home for a mere four months when these scenes were filmed for an undercover documentary, and she was aged just 18. She was slapped, bruised, bullied and terrorised. One one day she was slapped and humiliated by seven staff for 11 hours, and threatened with a razor. The last time she was seen by the reporter who took these pictures, she was lying on her bedroom floor calling for her mum, who had sent a bunch of flowers which were strewn all around her. Other patients were dragged, punched, jumped on, and threatened. One tried to jump from a window after being physically manhandled. Patient notes were falsified by staff. Records show another patient somehow twisted and fractured her own wrist. The court which sentenced Simone's abusers heard that she had learned a lot from them, becoming more aggressive with other people. Rather than the childlike tantrums she used to have, she now acts like an angry, abusive adult, with all the violence that entails. After the scandal erupted, Simone was moved to another home where everyone thought she would be looked after better. Her notes show that in one four hour period she was restrained in a chair 10 times, and twice more on the floor. In June she was accused of attacking two members of staff, but it cannot have been one-sided as four carers were suspended as a result. Then, without telling her family, Simone was moved one day to a secure unit where she is now kept under lock and key. Her parents are an eight-hour round-trip away and because of their health cannot visit her, something which Simone probably has trouble grasping. Simone is not easy to look after. She is big and strong, doesn't always understand, and thanks to the mistreatment she has experienced needs lots of love and care to unlearn all the bad behaviour she was taught. Instead she's locked up, because that's easier than taking a long, hard look at what is laughably called our care system. A 'care' system which allowed dozens of girls from children's homes in Rochdale to be raped, coerced, drugged and abused by gangs of men for years and ignored them whenever they reported it. A 'care' system which allowed Jimmy Savile access to vulnerable youngsters in hospitals, prisons, and council-run residential homes. A 'care' system which lets the elderly starve to death, which pays peanuts, expects no or few specialised qualifications, whose employees are undervalued by both their bosses and society at large, and in which stories like Simone's are actually not that bad. The reporter who exposed the mistreatment of Simone and others got the job without any experience or qualifications - not by duplicity, but because none were needed. I know of someone who, jobless after leaving university, was offered night shifts at a care home and was frequently the only person in charge. A 21-year-old without a clue, running an entire care home, for ten hours at a stretch. Oh, there are standards and commissions and ombudsmen and routes of appeal and complaint. But they're a fat lot of use when unqualified, cheap staff write what they like in the log book, when profit is put before everything else, and when what few rules there are treated more as guidelines so long as you look clean and professional for a pre-arranged inspection every now and again. There are no rules about CCTV, or making it easy for staff to whistleblow. There are no rules about why you can't employ a random off the street. There are no rules about how care is the same as protection and love, and that the system cannot be relied up on to do either. There are many people working in care who do so in spite of all of that. They have a vocation to help others and stick with it despite the profiteering, low wages and abuse they often see because they think that if they throw in the towel the people who need them are going to be even worse off. And most of us think this is about 'them' - that it's nothing to do with us. But if it weren't for people who care, we'd soon notice. The people who care for relatives at home, at their own expense and to the detriment of their own health. The staff who stick it out on minimum wage, the ones who do home visits which last longer than the regulated 15 minutes, the carers who know they're banned from physical touching but give patients a hug when they need it anyway. If all those people went on strike we'd see there is no system - just a few good people doing their best to keep the care system at bay for as long as they can. A system in which average hourly costs have risen 10 per cent in the past two years while its reputation has sunk ever lower with constant stories of abuse, mistreatment and neglect. Even if we do not have a condition like Simone's, we will all need care one day. There are close to a million people with dementia and rising and we will expect the system to look after our loved ones or after us, and we shouldn't have to factor in the purchase of a secret camera to make sure that happens. There needs to be a professional body to discipline, campaign and train. There needs to be qualifications ranging from simple, cheap, care-for-mum-at-home-yourself options all the way up to degrees if you want to run a residential home. There needs to be a junior minister devoted to it, at the very least. There needs to be a change so that when we meet a carer we don't think 'Oh, stale wee and Winterbourne' and instead say 'Wow! Really? Well done you'. Care is not a luxury - it's a need we all share with Simone. And more than anything else, we need to start caring about our care system before it's too late and there's nothing left worthy of the name.